Australia’s longest practising male quilt designer, Alan R Tremain, in association with his ‘Out of Africa’ quilt exhibition has created a raffle quilt using fabrics especially printed by the women of Babbarra Designs, Maningrida Northern Territory. The Babbarra Women’s Centre is supported through the sales of printed fabric such as those used in this quilt and began as a women’s refuge in Maningrida in the Northern Territory in the 1980s providing employment and training opportunities to women in the area. Funds raised from the raffle of this quilt amounted to $1,200 and were given specifically to The Wigwam Wig Library, a volunteer based service at Gosford Hospital as part of the Central Coast Local Health District Cancer Services. ‘A professional and sensitive service for cancer patients experiencing hair loss, this service is located on the Gosford Hospital campus. The Wigwam is free to access and provides a service that includes wig fitting, advice and supply of wigs. The Wigwam is run by a wonderful team of volunteers who are trained and have many years’ experience in hairdressing and wig fitting. 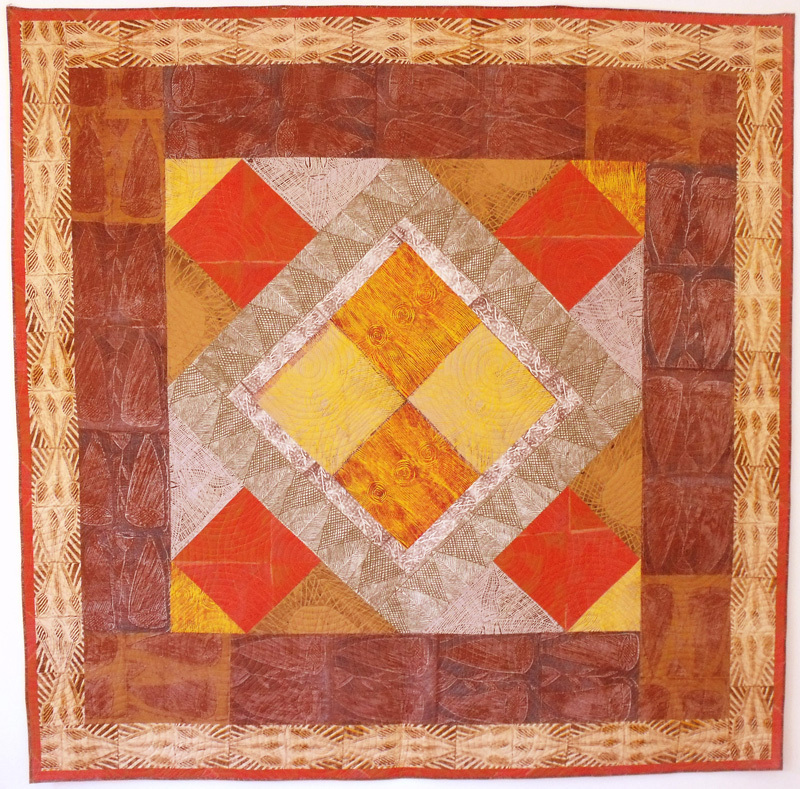 The ‘Babbarra Designs’ quilt measuring 210 centimetres square is valued at over $1,500 with the raffle being launched on Saturday 8th August 2015 at the ‘Out of Africa’ quilt exhibition opening and tickets were on sale at the Art Studios Gallery, North Gosford until 29th November 2015. The raffle was drawn on 1st December 2015 and the winner was Diane Harvey of Kincumber. To read Media Release on the Wigwam's 10th anniversary in 2013, click here. Diane Harvey and Alan R Tremain with the Wigwam Quilt. Cheque for $1,200 being presented to The Wigwam Wig Library at Gosford Hospital: Diana Akers - Volunteer Hairdresser, Alan R Tremain, Jacqui Sattler - Cancer Services Social Worker.